Pakiaka: Go Room 9!! Ice Skating Pros! Go Room 9!! Ice Skating Pros! Room 9 loved going Ice Skating. For many this was the first time being on the ice. Children showed resilience not giving up when falling over. So much fun at school!! 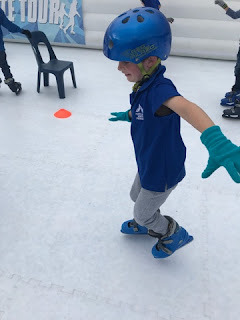 Ice Skating - What a Blast! !